Zambian Finance Minister Margaret Mwanakatwe says the government has received unsolicited offers for a 17-percent share of ZCCM. 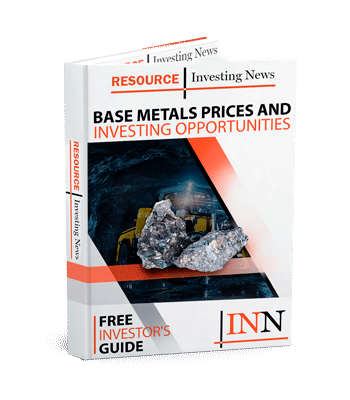 Canadian miner First Quantum Minerals (TSX:FM) has been outed by the Zambian finance minister as having approached the government seeking a 17-percent share of the government’s mining investment arm, ZCCM-IH. ZCCM is majority-owned by Lusaka, and according to finance minister Margaret Mwanakatwe, there are “multiple unsolicited offers” (of which First Quantum is one) for the government’s directly-owned share. “The offers relate to the ministry’s 17-percent holding in ZCCM-IH and a sale would be subject to cabinet approval,” she said at the Mining Indaba conference in Cape Town. Another 60 percent of ZCCM is owned by the Industrial Development Corporation, a state-owned company. First Quantum has had a dicey relationship with Zambia over the last few years — with the company and the African country at odds over a new mining tax. Miners and the government have been engaged in a war of words over the new taxes, with the government threatening to expel foreign workers if international companies started laying off their workforces in response to the higher taxes. First Quantum said shortly afterwards that it would be firing 2,500 workers anyway — though it backtracked on that threat. The scuffle over taxes and workers doesn’t seem to be keeping the Canadian company out of Zambia however. On Monday (February 4), it was revealed First Quantum was making a pass at the share of the Kansanshi mine it didn’t already own for a cool US$700 million — though that news is yet to be confirmed. The 20 percent of Kansanshi First Quantum doesn’t own is owned by ZCCM. Kansanshi is the largest copper mine in Africa, producing over 250,000 tonnes of the red metal in 2017. According to First Quantum is has a nameplate capacity of 340,000 tonnes. Zambia itself clocks in as the second-largest copper producing African nation, behind the neighbouring Democratic Republic of the Congo. 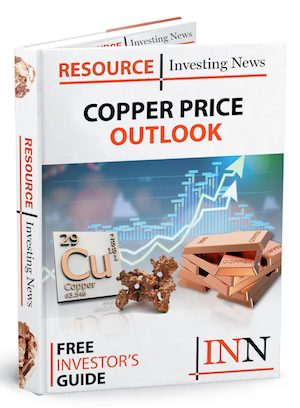 Kinsanshi accounts for a third of Zambia’s total copper output. Indaba, which runs from Monday to Thursday (February 7), has seen a mix of approaches to resource nationalism, with the president of Ghana, Nana Akufo-Addo saying during his speech that deals must no longer be made to overly benefit companies operating in Africa. Meanwhile on the sidelines, the mining and petroleum minister from Ethiopia, Samuel Urkato told Reuters that cutting taxes was exactly what they had been doing to attract more investment. “We are reforming all the laws, the national mining policy and the strategy that goes with that policy. These reforms include all fiscal regimes too in order to compete for global mining investments,” said Urkato. Meanwhile, South African president Cyril Ramaphosa told the conference that the mining industry had his support, and Zambia reiterated its intention to enforce a copper import tax— another of the sticking points for First Quantum in the country.